Sometimes God wants us to hear a message from him so much that he will use people around us to hammer the message home, and this week, God has certainly been trying to talk to me as I have heard the same message four times from completely unrelated people! Last week, a couple of the officers (ministers) from a Salvation Army church in South Wales came to spend the day with us. They came to see what takes place in the church my husband and I are officers at, and to discuss some of the ways we deal with the challenges we face. Our friend’s corps is very similar to ours and we had a lovely morning discussing how God is transforming lives and making messy situations clean again. But what really struck me was their big God-inspired vision. Even though the vision was costly (both financially and personally they were making giant leaps of faith and God was honouring them. As I sat and listened to their passion and enthusiasm, I felt God say to me “Dream big.” This really challenged me, but as so often is the case, life got in the way and the message was forgotten. A couple of days later, I was sat having a cuppa with a lovely, prophetic woman of God in our church, and she said that God had been speaking about vision and dreaming big! 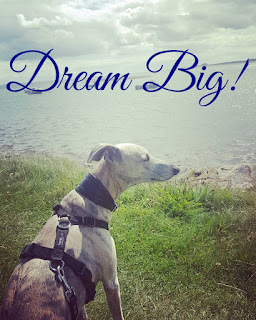 (I’m not sure if they were her exact words…but you get it…dream big!) I shared with her what God had told me days before and started to ponder what this may mean. For me, on a very personal note, this has become a huge challenge for me. 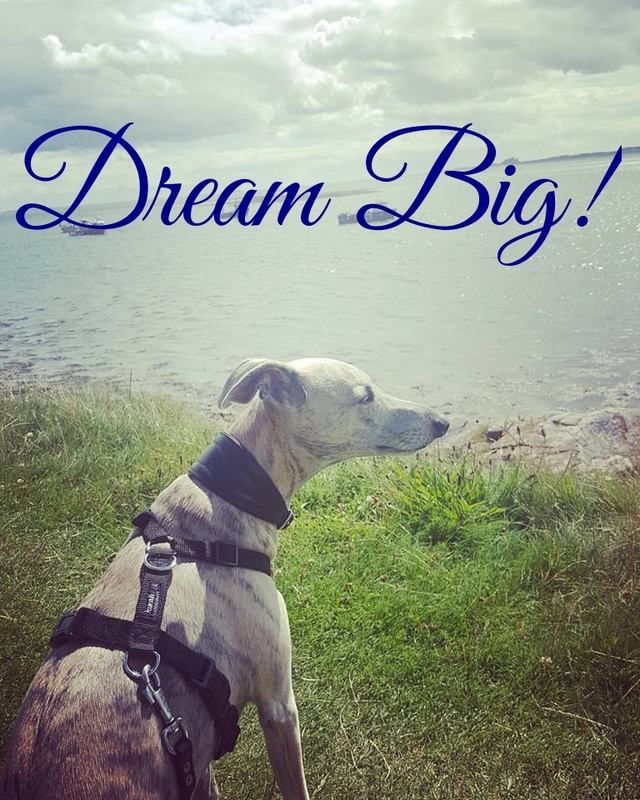 As I considered this in my own personal and spiritual life I came to realise that there are big dreams that I have put in a jar and locked away. 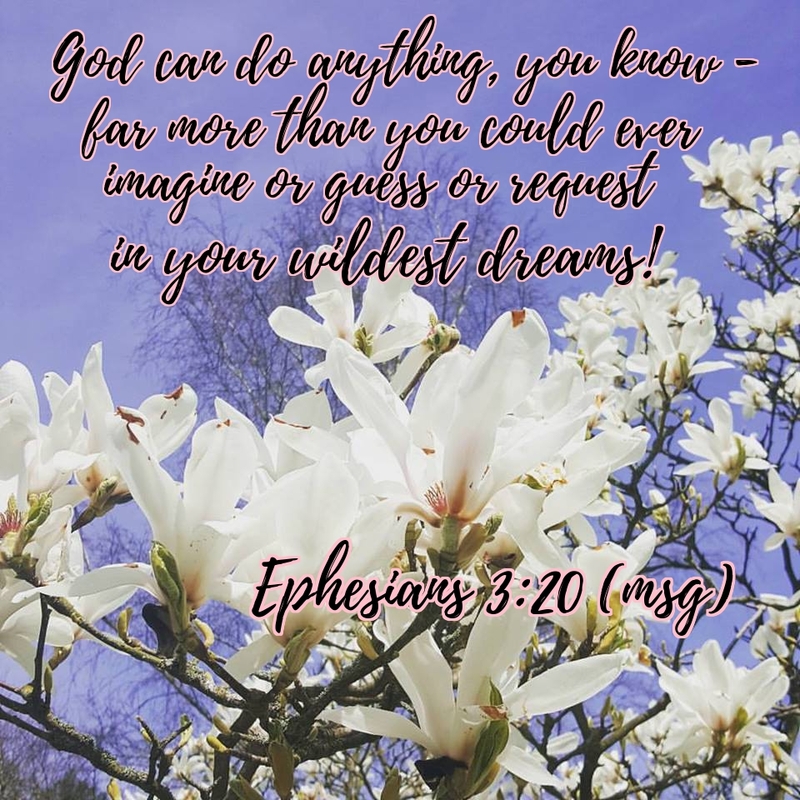 Dreams that I struggle to believe will come to fruition, dreams that are simply too painful to recall and dreams that the devil has told me that I will never see come to fruition, and foolishly I have believed him! Today I am flinging the lids off those jars and I am placing my big dreams in the hands of the one who can make it all happen.